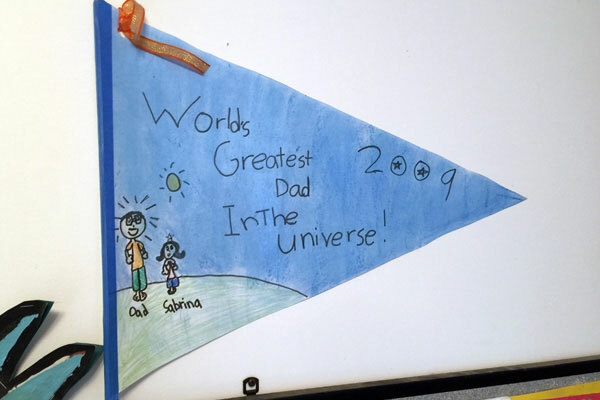 In the grand scheme of things, Moms get more attention than us Dads–as well they should, I suppose, but can’t we do better than recycled Father’s Day cards? Ouch! Father’s Day had a hard time getting off the ground, apparently; but it shouldn’t have been, considering Mother’s Day had already been established by the early 1900s. It was met with skepticism in the early years of its formation, when people thought it was just another commercial holiday inspired by merchants to make money. Even though Mother’s Day became popular because it had the backing of retailers for exactly the same reasons, Father’s Day was a harder sell because fathers just don’t have the same sentimental appeal that mothers have. But eventually we made it, and here we are! And have you seen some of those cute Dad videos on YouTube? When it comes to our kids, Dads can show a softer side too, and as only Dads can. I’m pretty sure we all have our moments with our kids–they just haven’t been filmed yet. 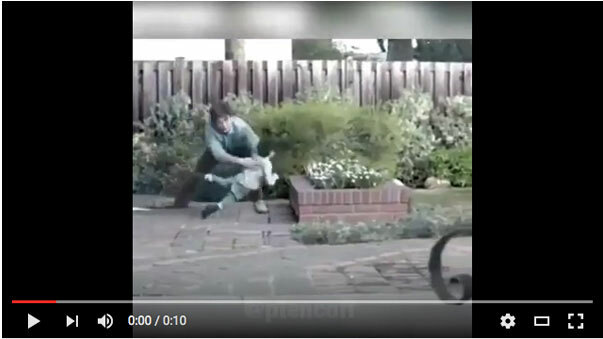 Here’s another one that shows why Dads are heroes (we have quick reactions). 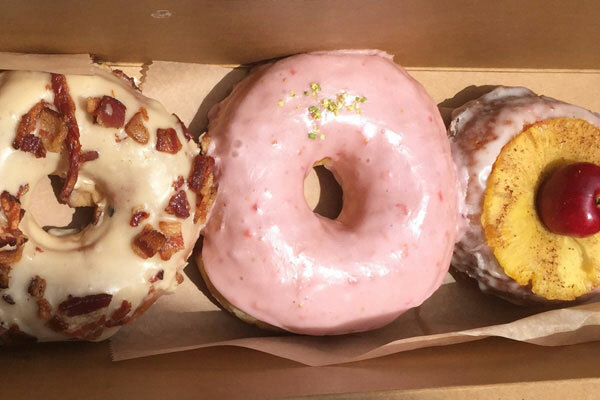 …or buy him a box of donuts! Happy (upcoming) Father’s Day everyone! It’s almost that time of year! 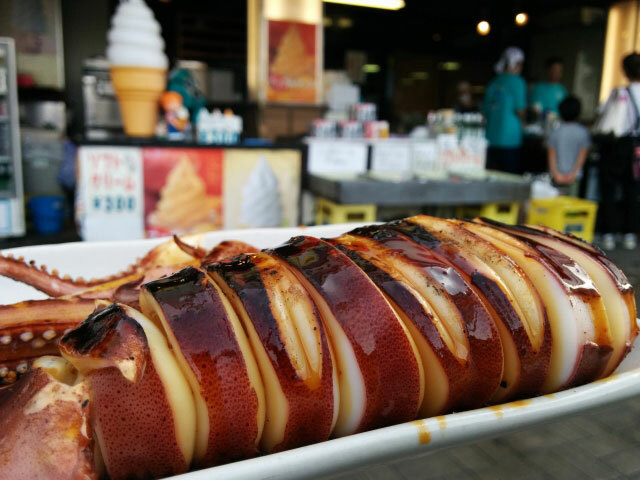 Festivals are starting in Japan and street food flavors are out in full force! Spring festivals kick off the season with the biggest festivals happening in the thick of summer. Japanese festivals are unique in that fireworks, music, dance and games are all enjoyed by festivalgoers who really come for the delicious varieties of street food! One of the most loved street food dishes is anything on skewers, especially grilled ayu, or sweetfish, and ika, or squid. Ayu are small fish in the salmon family, and when heavily salted, skewered and grilled over an open charcoal fire, they are considered a delicacy reminiscent of summertime, camping and festivals. The fish are generally available from June through September in Japan, and at street food stalls, you’ll see the small, whole fish skewered through the center and arranged in a circle around a hot fire, where they are shaped into an undulating wave and barbequed at low heat until crispy on the outside and tender on the inside. Ayu can be eaten whole–head, fins, tail, bones and innards–and the white-fleshed river fish tastes great served with a special sour and peppery dip called tadesu which helps bring out the delicate aroma and the flavor of the fish. Ika, or squid, are also wonderful barbequed over an open fire. The squid are skewered through the body in a way similar to grilled ayu—sometimes whole and sometimes in choice pieces—salted and lightly brushed with soy sauce, and then grilled until juicy and flavorful. The dish, called Ikayaki, is often served simply and eaten directly off the stick. 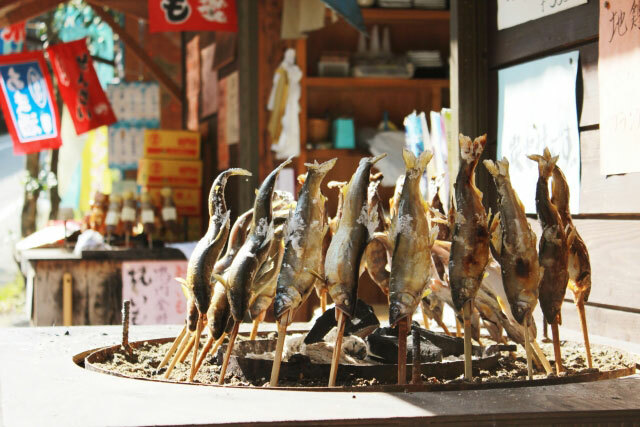 If you can’t find grilled ayu or ikayaki at a festival, be sure to ask for it at an izakaya pub, where often these skewered delicacies are available to accompany a crisp beer! Have you ever had grilled ayu or grilled squid? Share your stories with us below! And don’t forget to stay tuned for next month’s street food showcase! Once you’ve decided to go gluten free, you’ll need to start in your kitchen. Whether it’s large or galley, stocked or empty, your new gluten-free kitchen will be your safe zone. Your gluten-free kitchen will become the place where you can always find and make yummy and safe gluten free foods. When your kitchen goes gluten-free, too, then you won’t be tempted to “cheat” by eating gluten — because there won’t be other options. It is important to first understand why a fresh beginning is so essential to going gluten free successfully. Because gluten is just one tiny ingredient in lots of foods, it’s not something you can actually see. It can lurk in crumbs, sauces, pasta…. Which means that anything in your kitchen that has touched these things (think toasters, pans, colanders, lunch boxes, utensils, counters, dish scrubbers, tea towels, etc.) may still have gluten on it or in it. When this gluten residue touches your gluten free food, gluten contamination (or gluten cross-contact) occurs. So start fresh with any pots or pans or appliances that may touch your food if they are scratched or difficult to fully clean, and make an effort to rid your kitchen of gluten entirely (or banish it to its own cabinet for others to use). Knowing you have a safe place to prepare and to eat food for any meal of the day will help you successfully establish your new gluten-free lifestyle. Once your kitchen is in order, it’s time to cook! Even if you’ve never considered yourself to be a baker or a chef, you don’t have to earn a degree to learn to prepare easy home cooked meals. Beyond proteins like meat, fish and chicken – which are gluten-free unless and until they are marinated, basted, or otherwise dressed with a sauce containing gluten – you’ll want to explore new ways to incorporate gluten-free grains and breads into your family meals for a nutritious and delicious diet. Brown and white rice are just the most recognizable rice options you may already be familiar with. Jasmine, wild*, basmati and sushi are among the over 40,000 varieties of cultivated rice in the world. Whole grain rice contains bran which houses most of the nutrition in a grain of rice – vitamins, minerals, resistant starch and energy from carbohydrates — but even white rice offers carbohydrate energy and nutrition. 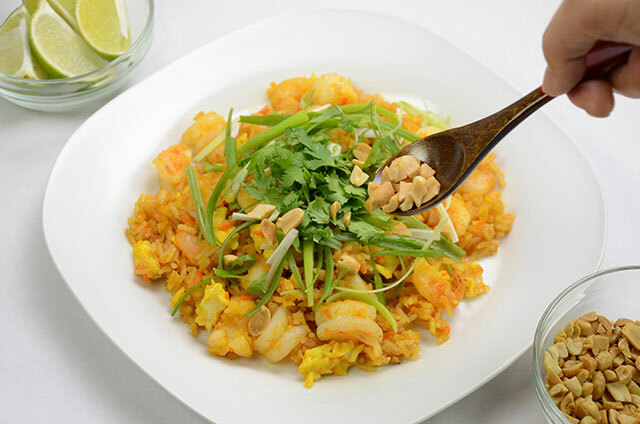 Get creative with rice as a side dish, salad, substitute for pasta (even in Pad Thai and Macaroni and Cheese! ), filler for crab cakes and other patties, and even as a meal in itself. With a Zojirushi Rice Cooker, making rice is as easy as a push of a button, so dinner can be served on your schedule. Quinoa is another wonderful option that is prepared in much the same was as you would rice. It is one of the most popular ancient grains to have resurfaced lately as a superfood and a gluten-free hero. First cultivated over 5,000 years ago, quinoa is technically a “pseudo-cereal,” not actually a grain. As seeds, it may be ground into flour like a grain and also prepared as you would any rice dish. The primary difference is that it is richer than rice in B-vitamins, vitamin E, minerals, fatty acids, calcium and fiber and it is considered a complete plant-based protein source. Pick your favorite rice dish and substitute white, red or black quinoa in its place; see how you like it. The small grains cook even faster than most rice and it offers a nutty taste that many favor over blander grains. Serve as a hot breakfast cereal option, hot or cold side salad, or even as a binder in veggie burgers or other patties. Another delicious gluten-free seed is millet. This tiny grain alternative has been cultivated for thousands of years. It can be found as a flour or in its whole form which can be prepared much like rice or added to muffins, salads or other recipes as a substitute for a nutty crunch. Millet is mild in flavor, and offers an abundance of magnesium and insoluble fiber. 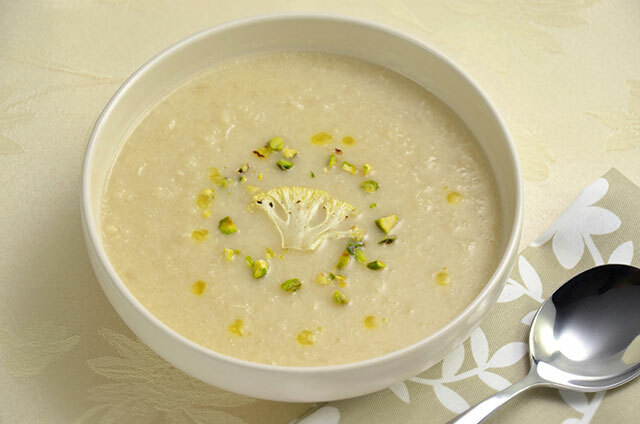 It is delicious as breakfast porridge or as an alternative to rice or potatoes as a side dish. 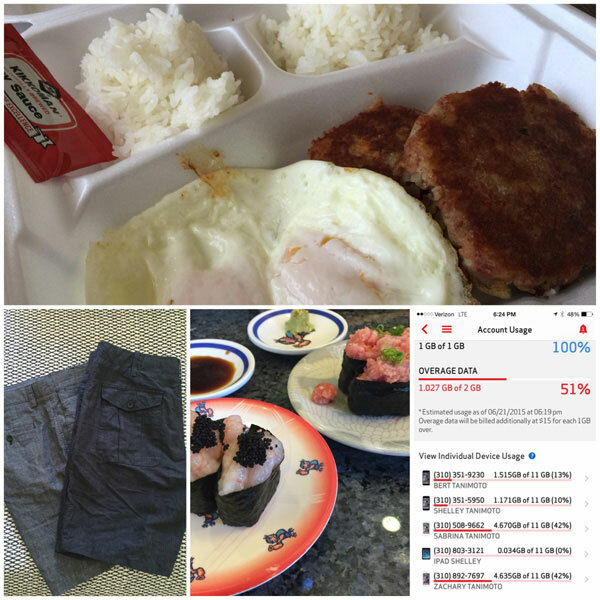 Prepare in much the same way as you would rice. Many of us think of hearty bowls of chili or thinner tomato-based broths when we think of soup, but there is no end to the creative possibilities of what you can make in a pot. Creamy cauliflower, vegetable lentil, green pea, and even cold soups like gazpacho can be made more quickly using a Zojirushi Stainless Steel Thermal Vacuum Cooking Pot or in a standard pot on your stove. Just be sure to verify all ingredients like stock and broth are gluten-free. Oats are a delicious way to add healthy fiber to your diet, but for those who are living gluten free, only certain oats are safe. It is essential to purchase only certified gluten free oats, grown under the purity protocol, to ensure there has not been cross-contact with gluten-containing grains. Independently certified gluten free oats can include traditional rolled oats, instant or quick oats, oat bran and steel cut oats. Make a large batch of oatmeal in a Zojirushi Rice Cooker on the Porridge setting, and re-heat as you need quick breakfasts, snacks or even hearty side dishes. Or use Zojirushi stainless steel food jars to make yummy steel cut oats in the container with no fuss, then take the food jar with you to work or for travel. With a little planning, a warm and hearty meal of gluten free steel cut oats and fruit is better than any fast food or snack bar. If you’ve been unsatisfied with the gluten-free options available to you in pre-made or frozen breads at the grocery store, take heart! 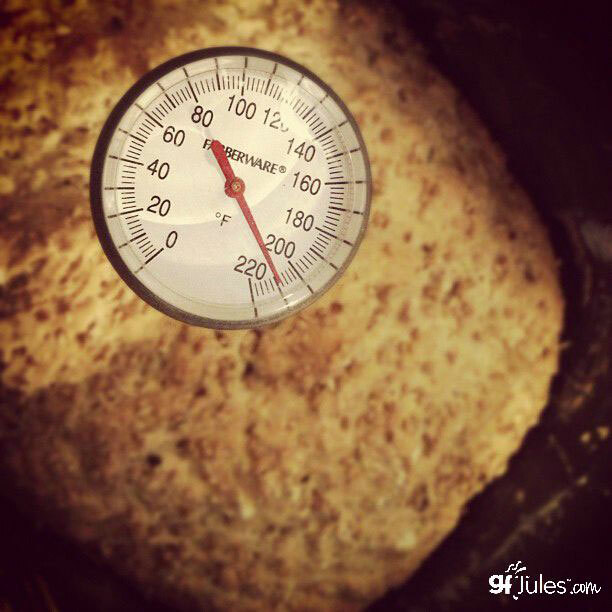 Making your own homemade gluten-free bread is the answer! Even if you’ve never baked a loaf of bread in your life, you can bake gluten-free bread that tastes like real, soft and delicious bread and you’ll never have to settle for store-bought or hard, frozen gluten-free loaves again. The reason why it doesn’t take an expert bread maker to make gluten-free bread is because all of the laborious steps involved in coaxing and babying gluten breads into life are absent in the making of gluten-free yeast bread. The steps are quicker and simple, and start-to-finish you can make a gorgeous loaf of gluten-free bread in about 2 hours. The absolute easiest way to gluten-free bread nirvana is by using a bread machine with gluten-free setting. Older machines didn’t offer the gluten-free option, and were pre-programmed for all the settings necessary to exercise gluten into holding its shape. Those same settings are actually counter-productive in baking gluten-free breads, which is why a gluten-free setting is so helpful. However, it is possible to program some machines for your own gluten-free setting. If doing so, set your machine to a 20-minute mix cycle, a 45-minute rise cycle and a 60-minute bake cycle for a 2-pound loaf. With any bread maker, the liquids should be at room temperature and go into the pan first, followed by all dry ingredients and lastly by the yeast, poured into a well in the center of the dry ingredients. 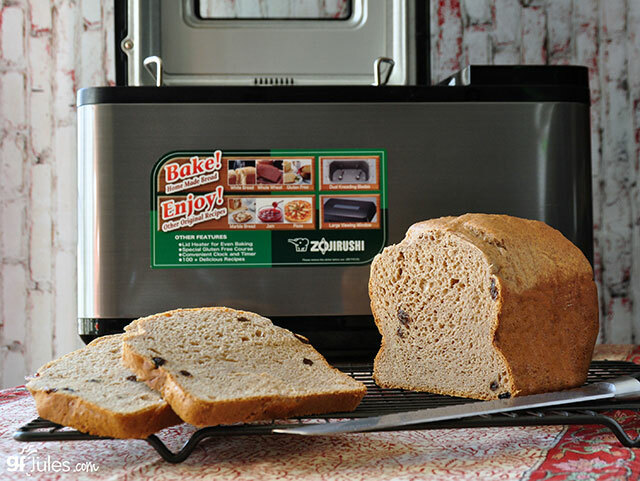 The Zojirushi Home Bakery Virtuoso® Breadmaker may become your best friend in gluten-free baking. It bakes a beautiful 2-pound loaf with an easy and reliable gluten-free setting and two mixing paddles for even distribution of dough. Anything from gluten-free green tea bread to brown rice bread to raisin bread is possible … and easy with this machine. It even makes cakes and can mix pizza dough or other shaped bread dough for you to bake in the oven. I actually travel with my bread maker so that I can have fresh-baked gluten-free bread with me wherever I am, and I don’t have to worry about clean up or a contaminated kitchen space. I regularly bake homemade bread in my hotel rooms and enjoy soft sandwiches or breakfast bread for several days. The most important thing to remember about going gluten free is that it’s not about deprivation – it’s about delicious new and healthier possibilities. Doing more cooking at home may seem overwhelming at first, but you’ll soon find it is a more economical, nutritious and safe way to live gluten free. Feeding your family home cooked meals is also a wonderful way to spend more time together. Remember that your kitchen is your safe haven and be sure to keep it well stocked with ingredients to favorite recipes so you are always able to bake up something yummy! *Wild rice is not actually rice, but is prepared in the same fashion and is a wonderful alternative to rice in the same dishes. The essential ingredients of Japanese cooking—sugar, salt, vinegar, soy sauce and miso—are primary ingredients, but how do they influence taste? Does ryori no sa shi su se so actually mean flavor, or are they the building blocks of the unique flavors of Japanese food? In our post this month, we explore umami, what it’s made of and its essential role in gastronomy around the world. Umami was first discovered in a measurable way by Dr. Kikunae Ikeda of Tokyo Imperial University, now the University of Tokyo, in 1908. 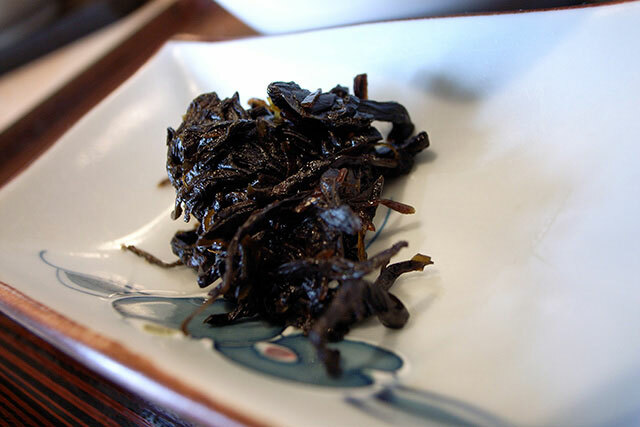 Dr. Ikeda, a chemist, theorized that there must be a reason why kombu dashi stock, used in many Japanese dishes, imparted such a rich, savory taste to food. In his quest to understand why, Dr. Ikeda discovered that kombu, the type of seaweed used in preparing dashi stock, was high in glutamates, a type of amino acid that creates a savory taste with a full mouthfeel. Dr. Ikeda’s discovery was followed by those of Shintaro Kodama, who discovered a ribonucleotide called inosine monophosphate, and of Akira Kuninaka, who discovered the ribonucleotide called guanosine monophosphate. These three substances, when absorbed by the taste buds on the tongue, creates a biochemical signal that tells the brain that the food is savory and full of protein, an important human evolutionary adaptation that aided in determining whether a food was safe and desirable to eat. 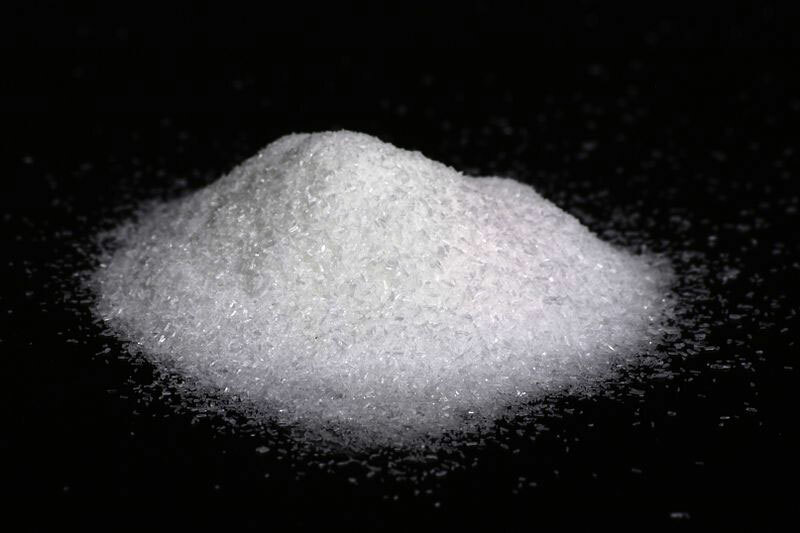 Since the discovery of salt approximately in 5,000 BCE, the tastes of foods have been categorized into seven categories: sweet, sour, salty, bitter, spicy, astringent and umami. Different cultures have used a subset of these seven tastes as part of their gustatory culture. For example, European culture generally used the first four tastes. Indian culture uses six of the seven. And, before umami was discovered, Japanese culture only recognized four of the seven tastes. Dr. Ikeda coined the term umami, from the Japanese root words “umai” meaning delicious and “mi” meaning taste, and since its modern discovery, umami has become known as the fifth taste in Japanese cooking tradition. While some cultures might only use a subset of the seven tastes in their traditions, they actually use umami as part of their flavor profiles, because glutamates, inosine and guanosine are compounds found in a broad variety of food, everything from seaweed, fish, shellfish, beef, pork, eggs and chicken to mushrooms, tomatoes, cabbage, soybeans, yeast, milk and cheese. Food cultures across the world use these ingredients, and when combined with the other tastes, create savory flavors that are more intense than alone. 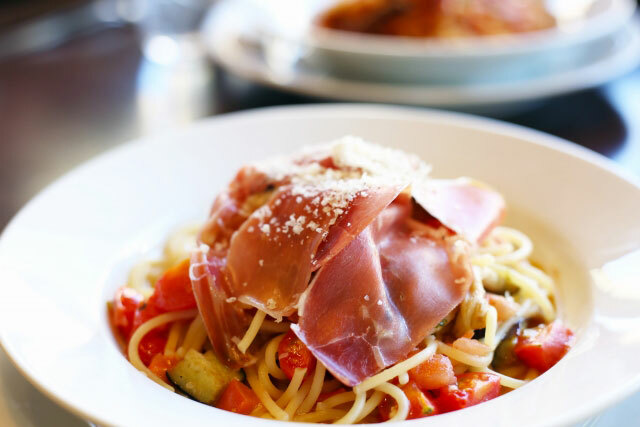 Combining umami ingredients is done in many well-known, familiar recipes… tomato sauce topped with parmesan cheese, sautéed mushrooms, broth and vegetables. Savory flavor becomes more intense when a glutamate component (such as fish or seaweed) is combined with an inosine or guanosine component (such as mushrooms) or simply with table salt. Ancient Romans created garum, a fish paste, that was used as an umami component to many early Italian dishes. In more modern times, American cooks created ketchup, also full of umami and made with tomatoes, garlic, onions and vinegar, and Australians have created Vegemite, a fermented yeast paste full of umami. The intensity of all flavors in food is increased when an umami ingredient is introduced. And umami is one of the most important elements of Japanese food, especially in dashi. We’ll explore this in more detail next month. Stay tuned, and as always, we’d love to hear your experiences with umami! We’re all searching for a way to be stylish, save money and still enjoy our favorite foods and drinks… and one of the best ways to do that is to make your favorite coffee or tea at home and take it with you when you’re on the go. We love our Travel Mug (SM-YAE48) for just these reasons: convenience, savings and style. This mug is a new addition to our other taller, thinner models. 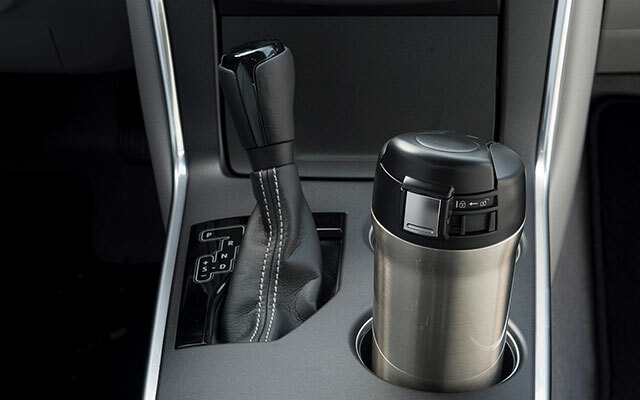 It rests much more securely in car cup holders, and fits better under a pod brewer. The same wonderful features you find in Zojirushi vacuum-insulated bottles can be found in this travel mug: an easy to clean electro-polished SlickSteel® interior, wide mouth opening, and superior heat/cold retention. The Travel Mug also has a solid locking mechanism that makes it leak-proof when used according to the instruction manual, and the lid is a snap to clean, thanks to its larger surface area and removable gaskets. The flip-open top is designed to be comfortable while drinking, fitting the contours of your face. Best of all, the mug has a unique vent that allows liquid to pour out smoothly, which is great if you’re on the move and don’t want a huge mouthful of liquid splashing down your chin! “How did they improve on near perfection? They did with this new mug model! 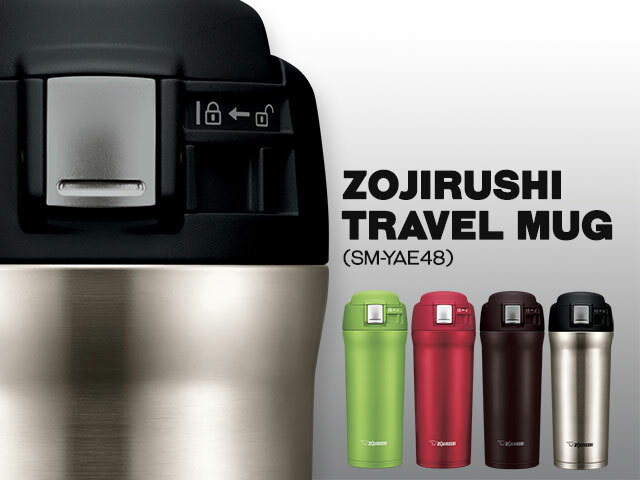 The Travel Mug (SM-YAE48) comes in four beautiful colors: Lime Green, Cherry Red, Dark Cocoa and Stainless. 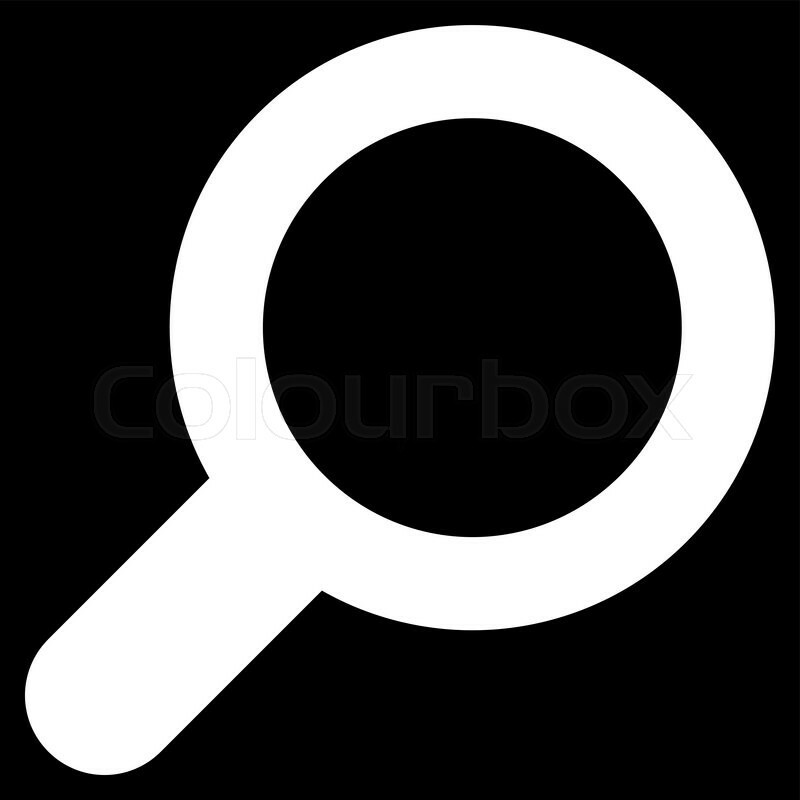 Check out our product video and our website. 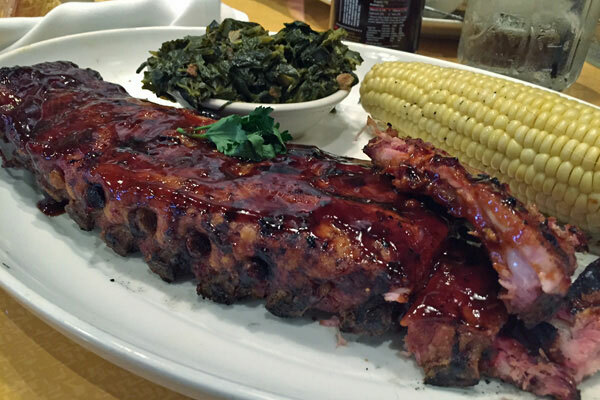 We know you’ll love it as much as we do, and as always, be sure to share your comments with us! And don’t forget to pin a photo of your travel mug with #ZoGo!